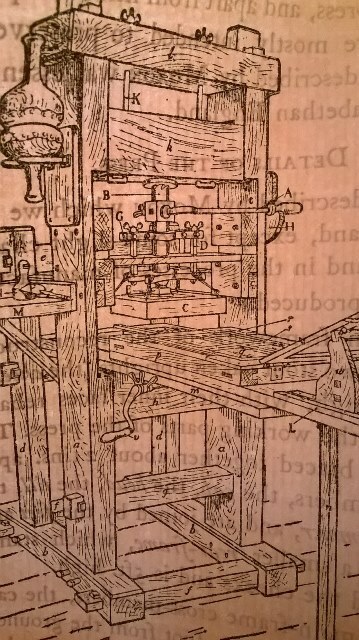 Image of the precursor of the ‘Moxon’ press in Blackwell Hall, from A.H. Smith, A description of the hand-press in the Department of English at University College, London (1933, printed on the press itself). The 1933 press was destroyed by bomb damage in WWII. 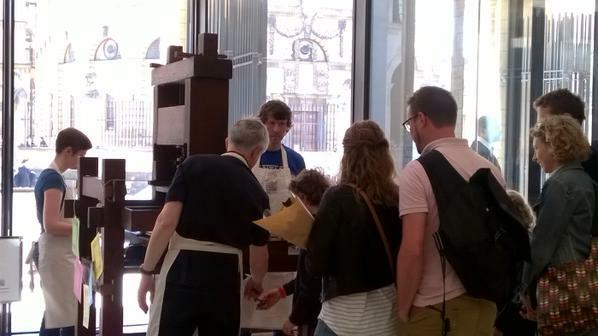 * See Frans A. Janssen, ‘Reconstructions of the common press: aims and results’, Quærendo 32/3-4 (2002), for a photo of the press at UCL and a discussion of the design and use of this and other replicas.